A very good morning. It gives me great pleasure to join you all here. 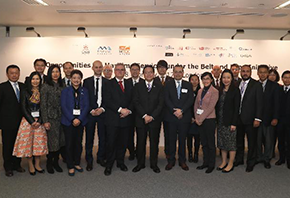 Let me first pay a warm tribute to the Cass Business School for jointly organising the seminar today, which provides an excellent opportunity for our maritime friends in both London and Hong Kong to come together and share their thoughts on how we can foster further collaboration amid the increasingly challenging international shipping business environment. London is an established international maritime centre, and Hong Kong has also emerged as a major maritime services hub in Asia, built upon its strong port. Both the UK and Hong Kong, as mature and service-oriented economies, face the common challenge of coping with competition from upcoming emerging economies and finding a new niche in the rise of Asia this century. I mention Asia here not casually. International trade is moving eastward. Of the top 10 ports in the world, nine are in Asia, and seven of which are in China (including Hong Kong). According to the World Trade Organization, Asia had shown a steady growth of 4.7% per annum in export volume from 2010 to 2015, higher than the world's average of 3.2% in the same period. Trade and economic relations between China and Europe have strengthened over the past decade. EU trade with China increased from an equivalent of some GBP182 billion (~HK$1757 billion) in 2005 to GBP444 billion (~HK$4296.4 billion) in 2015, representing an average annual growth rate of 9.4% (Note). With China's new Belt and Road Initiative, designed to expand multi-lateral ties, enhance trade flows and spur long-term economic growth among the 60-odd economies in Asia, Europe and Africa, we see only looming opportunities and growth potential. Soon to be the world's largest economy, one of the main propellants behind China's growth in the new economic era is its strategy of "going global" and "bringing in", to encourage its large companies to tap into overseas business opportunities and become multinational in outlook; and to welcome companies from abroad to invest in China. Such two-way economic traffic will certainly help foster stronger integration between Chinese enterprises and the global economy. China has also signed bilateral cooperation agreements with over 30 countries to embark on a number of infrastructural projects. The present somewhat sluggish global economy calls for more trade and investment activities across countries and cities on mutual benefit basis, instead of resorting to protectionism and economic nationalism in face of some problems caused by the impact of globalisation. 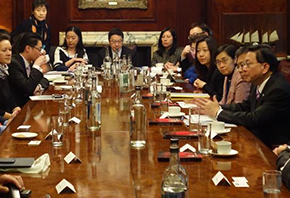 As global cities, both London and Hong Kong share in our economic aspirations. Our ultimate place belongs to the wider world, not just our own nation. Hong Kong has since the 19th century thrived as a free-trade economy with a longstanding shipping and maritime tradition. 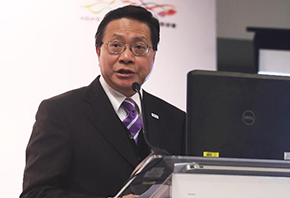 Leveraging on our perfect strategic location within Asia and along the Maritime Silk Road under China's Belt and Road Initiative, Hong Kong is consolidating and enhancing its role as a "super-connector" and regional services hub for businesses worldwide. With this in mind, I suggest to you, my London friends, to consider strengthening our maritime relations and scope of cooperation and exchange, in what I may describe as a "London-Hong Kong Maritime Connect". We share a number of commonalities which should bring us closer. First, our respective key strategic location. Hong Kong, situated at the heart of Asia, is a key gateway to China and a meeting place between East and West. London, on the other hand, is an important doorstep to Europe for many of us in Asia, and we expect this to continue despite Brexit. We can both serve as a major point of cross-region / cross-continent connectivity, and a springboard for international maritime businesses expanding into new regional markets. Second, our long maritime history. 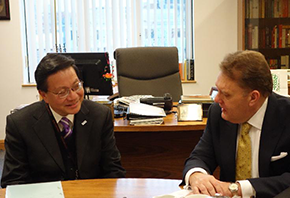 Having a longstanding maritime heritage, Hong Kong and London both have a strong base of shipping firms and a cluster of diversified maritime services, such as ship chartering and management, ship finance, ship broking and marine insurance, ship registration, maritime legal and arbitration services. 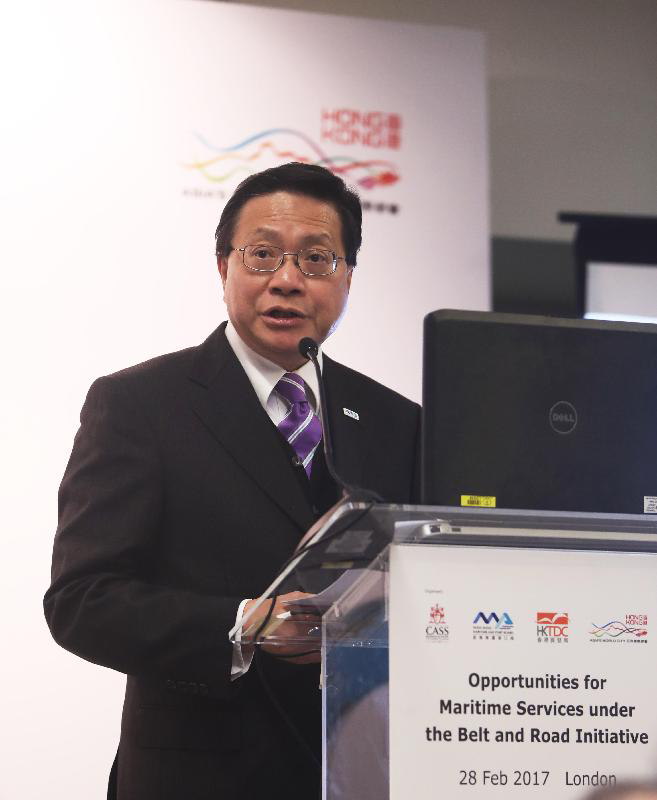 As the Belt and Road Initiative advances, fresh demands for quality maritime and shipping services will no doubt emerge, benefitting services hubs like us; and more so if our two hubs are in closer co-operation to take advantage of the new opportunities. Third, our open and free economy. 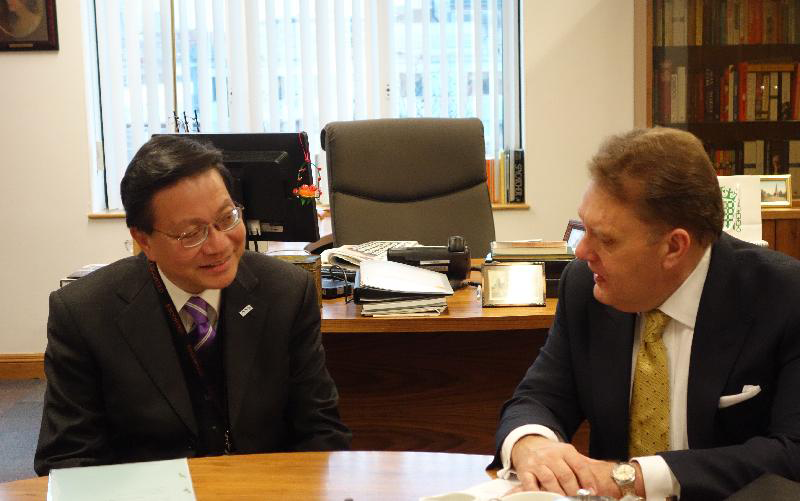 Both London and Hong Kong are committed to liberalisation and maintaining an open global environment with free flow of goods, services and capital which are keys to facilitate trade and investment. We are both international financial services hubs that serve business globally. Not only that, we both have a strong judicial system rooted in common law and well-developed arbitration services, which are so crucial to international trade. During President Xi Jinping's visit to the UK in 2015, he remarked that Sino-British relationship is now in a "golden era". We take note of British businesses expanding their presence in Asia and in China. With the massive and unprecedented business opportunities to be stimulated by the Belt and Road Initiative, hubs like Hong Kong and London will surely stand to benefit from such opportunities and there is ground for closer partnership between us particularly on the maritime front. 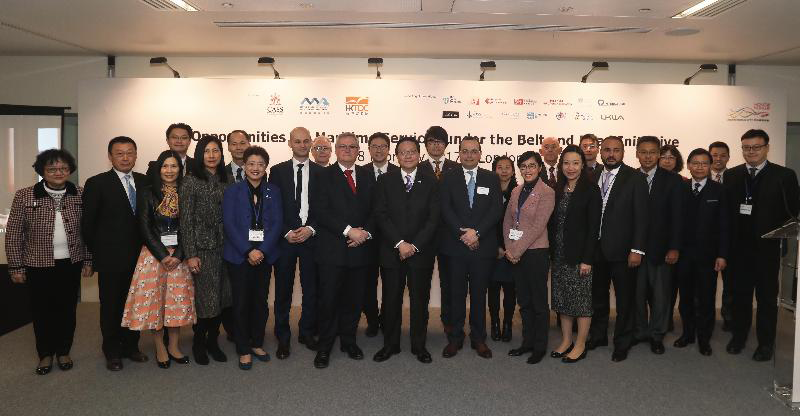 Last November, during his visit to Hong Kong to address the 6th Asian Logistics and Maritime Conference, Lord Jeffrey Mountevans of Maritime London also expressed his support for stronger maritime ties with Hong Kong. There is good potential for co-operation in professional education and various maritime services. The collaboration with the Cass Business School in organising this event today marks an example of the "connectivity" I am talking about. On this note, let me wish you all a fruitful and inspiring seminar. Note: Source: Figures published by the European Union on "Trade with China" (November 2016).